What is social trading and why is it beneficial? When running a company, especially a young one, you could be eager to find new ways of getting the word out about it. 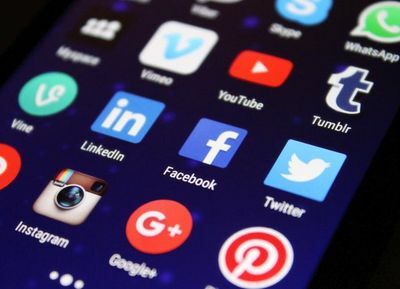 In your search, social media can seem like a convenient portal for marketing; after all, it is free to use and attracts a large body of regular users. However, there can remain much to learn about effectively wielding social media as a marketing tool. One case in point is the Facebook pixel; how could you use it and how could it benefit you? If Facebook is a major platform for your advertising efforts, then installing the Facebook pixel code on your website is essential, says Business 2 Community. You can fetch this code for free from your Facebook ads account. The specific code you source will be unique to your own firm's page. What does the Facebook pixel do once installed? The Facebook pixel is an ad tracking code. That's because it will not only monitor what people do on your website, such as which specific pages of it they load, but also give you this data which can subsequently inform your advertising campaigns. That's where the "optimise" element applies. The code can also record which of your Facebook-based ads people most commonly click to reach your site. Hence, you can garner an intricate picture of which ads are faring well and which... aren't. You can then switch off the under-performing ads to help yourself trim wasteful expenditure. The data mined by the pixel can, as Business News Daily explains, help you to judge whether your Facebook ads are reaching the right people. Over time, you can periodically re-tweak your advertising strategy - in response to the pixel's findings - to increase that strategy's effectiveness. With the pixel, you can re-target "the one that got away"
An especially useful function of the Facebook pixel is its ability to detect which people viewed your website. If any of these people meaningfully interacted with the site - such as by clicking on a particular product page - but didn't buy, you can pursue those people with Facebook ads. You could, for example, bring up - in the Facebook feed of "the one that got away" - an advert for the product of yours that they very nearly bought but ultimately didn't. Is the Facebook pixel easy to use? This is a largely subjective judgement and depends on your own expertise in social media advertising. If you lack rudimentary understanding of HTML coding or your website's content management system lacks a relevant plugin, you might struggle to install the pixel yourself. However, a digital marketing services provider could help you with both that process and making the most of the pixel once it is in place.